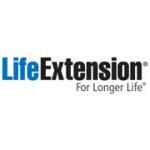 This nutritional supplement from Life Extension contains 1000 mg Taurine, an amino acid. 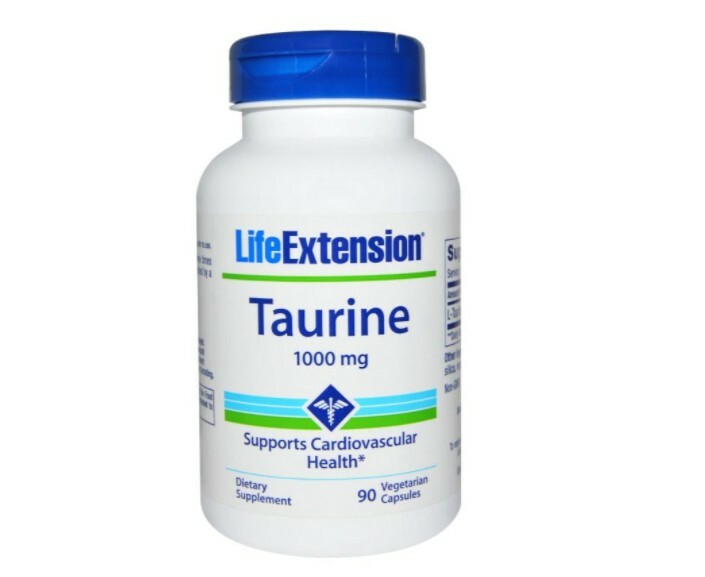 Taurine is one of the most abundant intracellular amino acids in the body and is produced by the body itself. Produced from the amino acid L-cysteine, researchers have described it as “one of the most essential substances in the body.” Taurine is found many places in the body but especially in the tissues of the central nervous system, where researchers indicate it has a regulating influence. Studies also suggest that it has a cardiovascular and neuroprotective role. 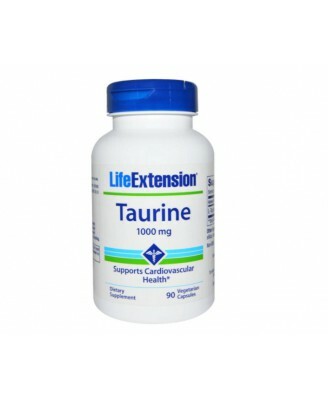 Many diets do however not provide enough taurine, why it can be necessary to add this nutrient to your dietary regimen. 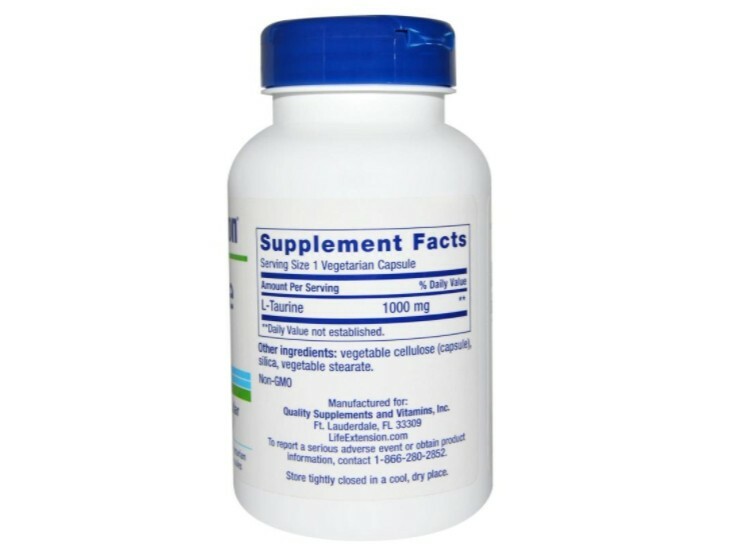 Take one (1) capsule one to three times daily on an empty stomach.